GlobalPhilly 2015: it's a wrap! Kait Lavinder, for GPA -- An exchange between Philadelphia Mayor Michael Nutter and Dr. Richard Hodges, President of the American University of Rome and former Director of the University of Pennsylvania Museum of Archaeology and Anthropology, resulted in an intensive effort to gain international recognition of Philadelphia’s historical contributions to the world. Nutter visited the Penn Museum and Hodges, then Director, mentioned the World Heritage Cities Programme. The mayor took notice. In the late 17th century, the City of Philadelphia was founded by William Penn as the Capitol of the Province of Pennsylvania. Penn worked with Surveyor-General of Pennsylvania, Thomas Holme, to design the commonsense gridiron street pattern that remains one of the city’s most well-known features today. Penn’s orderly city established on the principles of religious tolerance, democracy, and human rights has been a model for democratic efforts throughout the world. Protecting historic cities that have made notable impacts on the world is the overarching mission of the Organization of World Heritage Cities (OWHC) headquartered in Québec City, Canada. Founded in 1993 in Fez, Morocco, the OWHC is comprised of over 200 cities that house sites included on the UNESCO World Heritage List. However, there are currently no cities in the United States that are designated as World Heritage Cities. The organization’s paramount authority, the General Assembly, is made up of the mayors of World Heritage Cities and meets bi-annually at the World Congress of the OWHC. This conference brings together policy makers, academics, politicians, and professionals from the World Heritage Cities to present ideas and address challenges regarding the conservation and management of their cities. After Hodges informed Executive Director of Global Philadelphia Association Zabeth Teelucksingh that Nutter was considering getting involved with the World Heritage Cities Programme, Smith and Teelucksingh began conducting research on the OWHC. One year ago, the two assembled an Initial Project Team of experienced members of civic, business, and academic communities to further explore the criteria requisite for Philadelphia to gain this status. 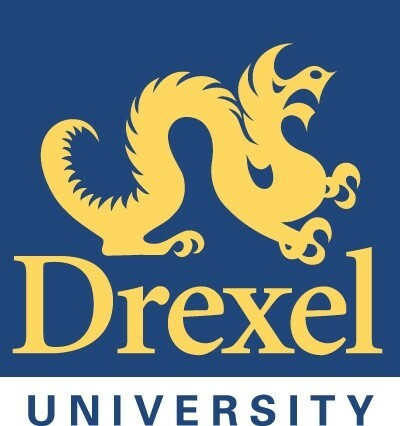 Dr. David Brownlee of the University of Pennsylvania is a consultant for the Initial Project Team and an acclaimed historian of modern architecture. He explains that Philadelphia’s historical importance is largely what makes it eligible to be a World Heritage City: “This is a city whose sustained importance to the arts, political thinking, philosophy, and I would say just broadly culture throughout America in the last three centuries has been enormous.” Brownlee continues by giving a brief overview of Philadelphia’s remarkable history. The city was the birthplace of democracy in the 18th century, the industrial capital of the world in the 19th century, and the premier example of a city that can grow while simultaneously preserving history in the 20th century. The conclusion of the team’s findings, reported in a Global Philadelphia Association press release on February 25, 2013, is “Philadelphia is currently eligible for Observer Membership in the Organization of World Heritage Cities on the basis of Independence Hall’s status as a World Heritage Site.” As an Observer City member of the OWHC, Philadelphia would be able to speak at the OWHC General Assemblies, promote its city on the OWHC website, and potentially present projects to the OWHC and/or host official OWHC activities. This November, the XII World Congress of the Organization of World Heritage Cities is convening in Oaxaca, Mexico. Teelucksingh notes the conference represents a wonderful networking opportunity for Philadelphia. Because of thorough research and planning conducted by the Initial Project Team and the city’s desire to go forward with the World Heritage City project, Nutter wrote a letter a few months ago to the OWHC in Québec requesting Observer Membership for Philadelphia. In response, Hodges commented, “It’s amazing that some mayors don’t understand why their cities are special. Michael Nutter is a good mayor; and he does understand.” He continues by saying that in order to progress, the next Mayor of Philadelphia must be as committed to the initiative as Nutter. More than three centuries since William Penn created his design for Philadelphia in 1682, the city still contains the original pragmatic rectangular layout. Numerous historic landmarks and buildings, like Independence Hall and City Hall, and geographical areas, like Society Hill, have been preserved. A booming healthcare industry that has provided contributions to medicine throughout the past three hundred years continues to grow. Penn’s founding principles of religious freedom and democracy maintain Philadelphia’s legacy as a model for other nations. Finally, Philadelphia’s cultural contributions to the world persist through the Philadelphia Orchestra, the preeminent restaurant scene, and many other cultural institutions. 1. Local Philadelphia - all property included in World Heritage City districts must be owned by people who are amenable to having their property designated and preserved. 2. The National Park Service - this department has its own criteria that cities must meet to be considered for World Heritage City designation. 3. The U.S. Department of State - like the Park Service, the DOS has its own criteria for cities to meet. 4. UNESCO in Paris - UNESCO makes the final decisions on designation. Observer Membership will, according to Smith, “put Philadelphia in that league of cities that are first and foremost thought about when all manner of international decisions are being made.” If Philadelphia makes it to Paris and becomes a World Heritage City, Hodges emphasizes, “You’re branded, [and] it’s like any brand: you’re in catalogues as a part of that brand.” With the World Heritage City brand comes higher levels of tourism and investment, higher numbers of international students and foreign patients seeking medical care, and worldwide recognition of the city’s contributions to humankind. In addition, Philadelphia would be the first city in America to be named a World Heritage City. Both Brownlee and Teelucksingh express their hope that with Philadelphia’s example, other American cities will realize the importance of the classification and apply for World Heritage City status themselves. Philadelphia has been informally advised that the application for Observer Membership has been granted; but there is not yet confirmation the city has paid its annual dues to UNESCO to be a part of the OWHC. Once these dues are paid, Philadelphia will become an official Observer City member, meaning the city will be represented this year in Oaxaca at the World Congress of the OWHC. A simple discussion between Mayor Michael Nutter and Dr. Richard Hodges catalyzed an effort that has brought together influential and intelligent members of the Philadelphia community to work for the preservation and representation of their city. 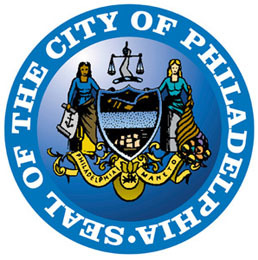 These individuals and the city agree that Philadelphia’s unique history and current contributions to the global society place it in a prominent position to be named America’s first World Heritage City.